The National Bank of Ukraine (NBU) on Tuesday provided UAH 2.115 billion in refinancing funds to 11 banks for one day at 17.5% per annum, and UAH 2.4 billion to two banks for 346 days at 19.50% per annum. 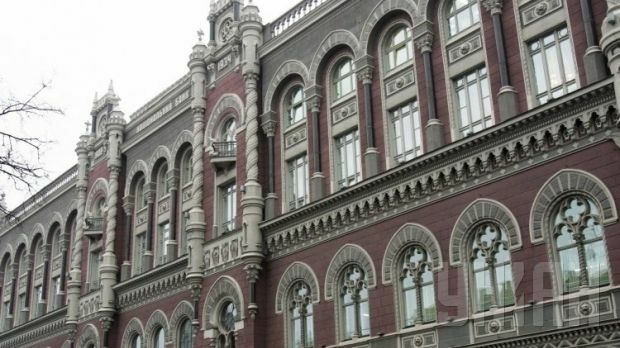 The NBU provided banks with refinancing totalling UAH 4.515 billion and sold certificates of deposit worth a total of UAH 6.212 billion, according to the Web site of the regulator. The central bank also sold certificates of deposit worth a total of UAH 5.612 billion to 12 banks for one day at 7.5% per annum, ones worth UAH 350 million to one bank for seven days at 11.0% per annum, and ones worth UAH 250 million to two banks for 14 days at 11.5 % per annum. The volume of the interbank credit market compared with the previous trading day dropped to UAH 8.073 billion, with the weighted average interest rate being at 23.1%, including overnight credits at 22.0% per annum. As UNIAN reported earlier, on December 12, the NBU provided refinancing of UAH 2.761 billion and sold certificates of deposit worth UAH 4.353 billion. The volume of interbank credit market amounted to UAH 9.695 billion, with the weighted average interest rate being 24.8%, including overnight credits at 23.4% per annum.